For award-winning British journalist Malcolm Brabant, being inoculated before embarking on an assignment abroad was just part and parcel of the job – a minor detail that members of his profession deal with on a daily basis. But that all changed eight years ago for Danish-based Brabant, when a seemingly standard inoculation for yellow fever ahead of a trip to Africa turned his life upside down, leaving him with a psychosis. 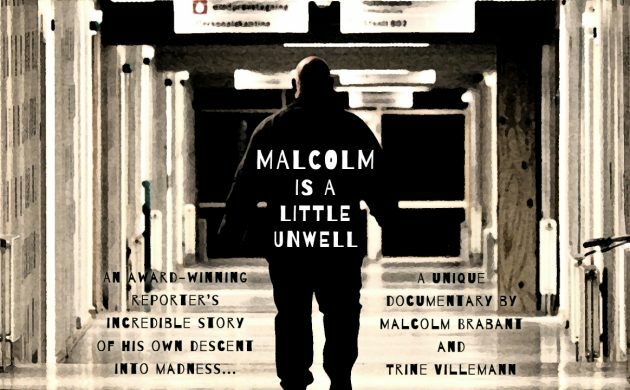 In collaboration with his wife, the Danish journalist Trine Villemann, Brabant is now turning heads with a potent documentary, ‘Malcolm is a Little Unwell’, which accounts his descent into the vaccine-induced madness. Aside from documenting Brabant’s erratic behaviour as the six-week psychosis and subsequent relapses take hold – including hallucinations that convince him he is the new Messiah – the documentary also visits the disregard of vaccine producer Sanofi and includes significant material shot in Copenhagen. In comparison to the little help Brabant received in the UK and Greece (where he was administered the fateful vaccination), the care he got in Denmark was paramount to his recovery. “I am completely in debt to Denmark for curing me. Doctors in Greece and Britain were unable to resolve the psychosis. But the staff on ward 811 at the hospital in Brøndby did an amazing job in restoring my sanity,” Brabant, a former Peabody Award winner who is affectionately known as ‘King of the Stringers’ in the media industry, told CPH POST. It’s still early days, but the gritty ‘Malcolm is a Little Unwell’ is already attracting attention and sterling reviews online. The 78-minute documentary has been submitted for inclusion in the CPH DOX film festival. The film is available to stream or download from Vimeo, iTunes, Amazon and Google Play. Check out the trailer below. Malcolm Is A Little Unwell from Journeyman Pictures on Vimeo. On Screens: Everything’s a dramedy these days – but that’s real life innit?